Nutrition is a key part to any successful health program and we are here to help! Our trainers know what it is like to struggle with weight loss and clean eating and are here to offer guidance for you and your entire family. PÜR Fitness & Health offers a wide variety of supplemental nutritional services to help meet your nutrition and health goals. The focus is on lifestyle change through healthy eating and physical activity/exercise that will produce long-term results. Do you need help establishing a healthy meal plan? 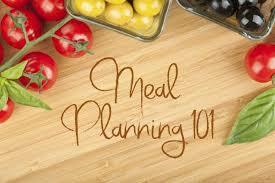 We know that you are busy and may need some help planning and organizing your meals. We start with an initial consultation to establish your goals and concerns, ask that you keep track of your food and drink intake for a few days, then sit with you and guide you through a suggested caloric intake, suggestion of healthy snacks and treats, and a plan to help get you on track. Do you need help cleaning out your kitchen pantry and restocking with healthy items? We can help you! We will take one hour to help you "de-junk" your kitchen while taking note of items that you and your family enjoys so that we can replace them with healthier options! 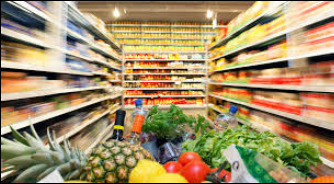 Next we'll head to the grocery store and help you choose the best options for your health and budget. ​Are you ready to commit to a healthier meal plan but don't have the time to plan or prep? PÜR Fitness has partnered with Preps on Wheels Brownsville to provide you with fresh, healthy meals prepped just for you! As a special bonus exclusive to PÜR Fitness, our clients receive a special discount. Message Omar or email our PÜR Fitness Team for details and your promo code. Click here to order your meal plan.